David Young, senior vice president of strategic government at CenturyLink, has said information technology managers at federal agencies should implement a “programmatic approach” as their organizations transform their IT systems and transition from Networx to the potential 15-year, $50 billion Enterprise Infrastructure Solutions contract vehicle, MeriTalk reported Tuesday. “If we understand where the information is coming from, understand who owns it, and understand the timeline, then that programmatic approach becomes the critical path on how agencies approach that transformation from the current Networx to EIS,” said Young, a 2018 Wash100 recipient. 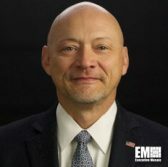 Young called on agencies seeking to move to the EIS vehicle to align their IT transformation efforts with the General Services Administration-managed centers of excellence that focus on service delivery analytics, customer experience, IT infrastructure optimization and cloud adoption. CenturyLink is one of the 10 companies that won spots on the EIS contract GSA awarded in August 2017 to help agencies procure IT and telecommunications services to support their IT modernization efforts.